International Senior Leader with multi-year residential postings in both China and India. Repeated delivery of major financial results through alignment of production, service, and delivery systems with strategic objectives. Proven ability to slash operating costs and other waste while improving both customer and employee satisfaction. Extensive background in leading large teams in a global environment across many businesses and cultures. Highly intelligent technical and process mentor for large improvement engineering and consulting communities. ۩ Drove Business Excellence for Tata Communications, a $3 billion unit of the $100 billion Tata Group. Delivered improved results, coordination, and collaboration through five verticals: Process Management, Process Control, Process Improvement, System Stewardship, and System Assessment. As Chief Quality Officer, led Tata Communications and the Tata Group in various areas of corporate and social responsibility. Extended Business Excellence reach across all Tata companies via promotion to the central Tata Sons organization. ۩ Delivered $500 million in cost savings and revenue enhancement to the bottom line by implementing a process improvement program for over 25,000 employees. Designed and deployed HP Lean Sigma across all units of Hewlett-Packard's Imaging and Printing Group, covering major plants in over a dozen world-wide locations, including China, India, Singapore, Spain, Germany, Ireland, Brazil, Mexico, and Israel, as well as locations all across the US. Led overall HP Lean Sigma design program covering an additional 100,000 employees. ۩ Managed supply chain operations for a $400 million InkJet Cartridge manufacturing facility, including procurement, planning, inventory management, documentation management, supply chain engineering, industrial engineering, technical services, and shipping. ۩ Halved manufacturing costs within six months in a mature environment by improving capacity utilization and cutting defect rates by 80 percent. 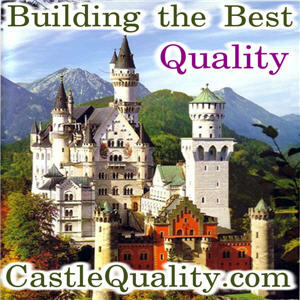 Mr. Castle has deep multi-functional experience working within and with the world's top companies. His experience is global in nature, including years of residence in some of the planet's most vibrant emerging regions. During Mr. Castle's leadership of Hewlett-Packard's Lean Six Sigma Program, the company stock value more than doubled, significantly outperforming other users of Lean Six Sigma, all of the main Competitors of HP's Imaging and Printing Buinesses, and the Lean benchmark; Toyota.